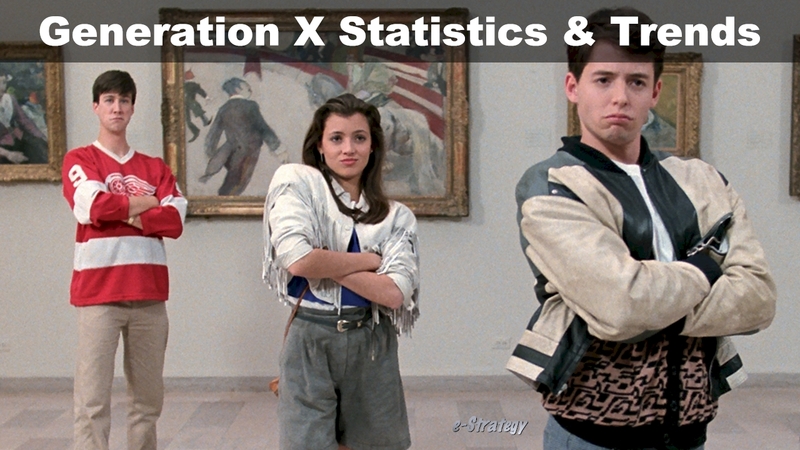 e-Strategy Trends’ continually-updated collection of Generation X research, statistics and trends for marketing, public relations, advertising and strategic communications professionals. Gen Xers’ wearable usage is rising, albeit slower than it has in past years. By the end of 2018, 15.4 million Gen Xers will have used a wearable device at least once per month, up from 14.0 million in 2017. This Generation X infographic reflects many of the attitudes of the generation sandwiched between the Baby Boomers & Millennials. TV ads edge recommendations from friends and family as the top influencer of purchases for Gen Xers (born 1965-1981). This infographic from VisionCritical compares the media consumption of Millennials to that of Generation V.
Americans 55 and older are the fastest-growing group of electronic wearable users in the US, according to eMarketer’s latest wearables forecast, largely due to the devices’ enhanced health features. Gen Xers had the highest average income before taxes last year, of roughly $95k, according to the latest annual Consumer Expenditure Survey from the Bureau of Labor Statistics, and they averaged the most spending, too. More than one-sixth (17%) of the US population listens to podcasts on a weekly basis, and it seems that weekly podcast listeners are tuning in more often than they used to.